Carry the legacy of the galaxy's greatest hero with you into battle. 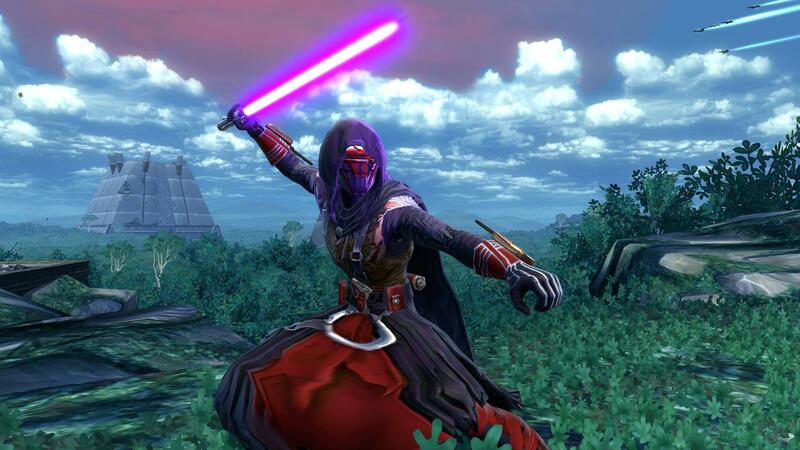 For the first time, the legendary Revan Reborn battle armor is available for direct purchase. The ultimate starter kit for any Republic Trooper looking to climb the military ranks. 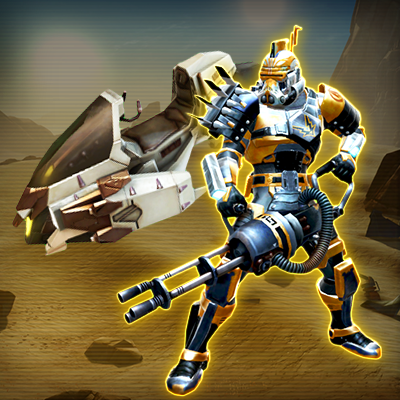 Each bundle includes the Unbreakable Veteran's Armor Set, the Primordial Assault Cannon and Blaster Rifle, and the iconic Walkhar Prophecy speeder. 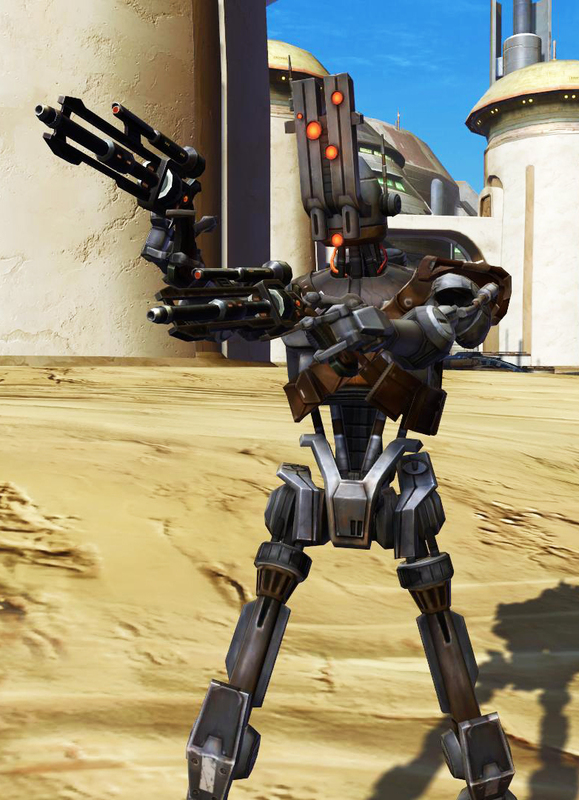 Purchase the contract of QO-77, a battle-tested combat Droid that is both feared and respected across the galaxy. Will you unleash his killer instincts, or teach him to stand up for the weak and oppressed?